What did the Berbers do? 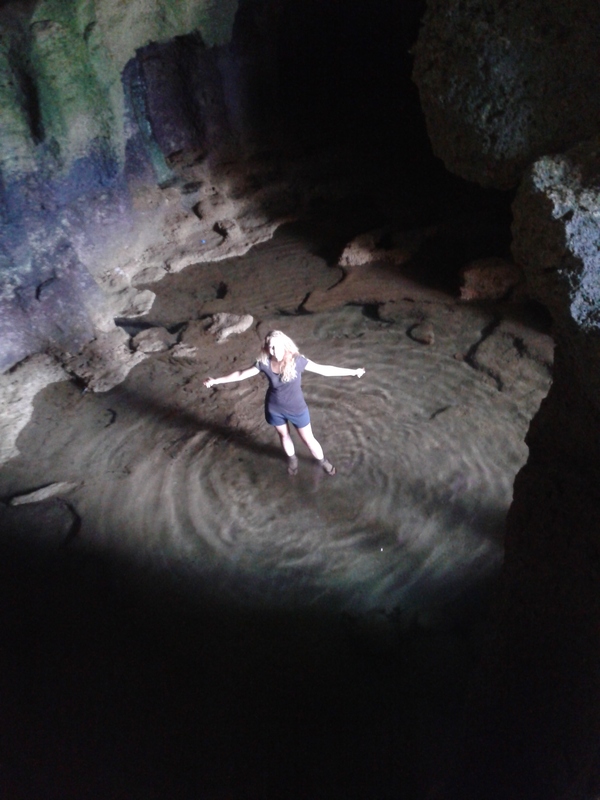 Well these guys created some pretty cool caves, I know that much! Being in Morocco I sure did learn a lot about the Berber civilization I once knew absolutely nothing about. Between their language, their customes, and their amazing nomad roots, it was amazing to experience a completely new culture. Morocco isn’t completely Arab ya’know! you’d really be surprised! 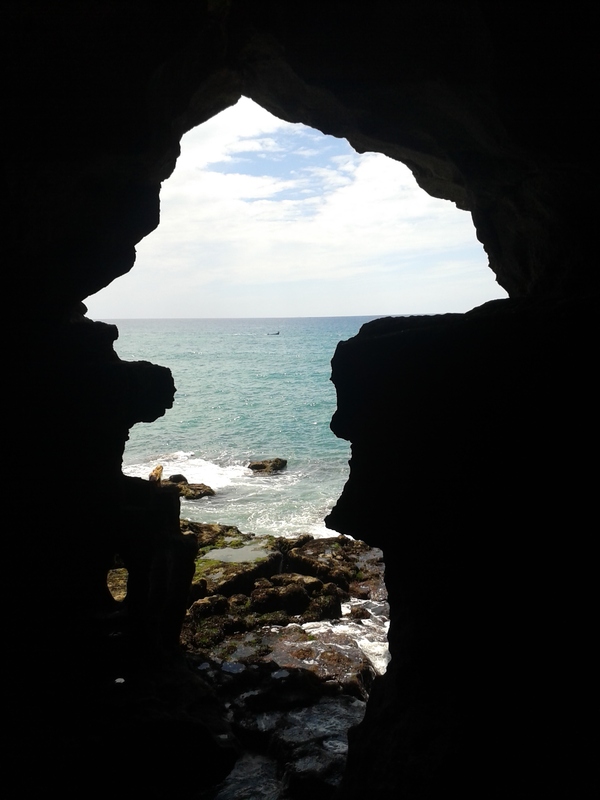 Here’s something in particular I really fancied: the Hercules Caves of Tangier Morocco! It started out as a natural small cave with just two opening, but upon discovery of it with the Berber tribes, it was soon carved and created into something considerably larger! Day five: DEAR GOD WHAT’S HAPPENING TO MY LEG. Ant bite..I wish. I got snagged by a spider, an extremely poisonous spider at that. on day four it began to hurt a lot, but still I thought perhaps it was just an ant bite that got bitten again or something (as it started out pretty small) but the next morning when I could barely walk or sit correctly, I became concerned. It was a deal breaker to go to the hospital when I took a peak at it in the school’s bathroom and noticed it was turning blue/black, spreading, and seeping a strange thick bloody substance. I talked to the school and they arranged for me to have a driver. First we went to the pharmacy to have a pharmacist look at it, and say if it just needs cream. Sadly, the bite is near my bum (upper leg) so I have to remove my pants to do this…but I was happy to see a female pharmacist. She took a look at it and said I needed to get to a doctor as soon as possible. Greeeeeeat. I go to the doctors office, limping and in extreme pain from the bite as it is rapidly getting worse and worse. I am seen by a doctor in about 5 minutes; so far so good. Except no female doctors around. Sorry dude. He takes one look at tells me it is a spider bite that is filled with quickly spreading poison, and beginning to rot (in other words, necrosis) I am still not sure why it took 5 days, maybe I just got bit in the same place, who knows. The doctor then preceded to tell me that they need to remove the poison as soon as possible to keep it from spreading. I lay face first on a table-bed thing, luckily my bum is covered at this point (of course GETTING to that point was awkward enough) and he begins poking the bite, asking if it hurts. I don’t know where he poked me, but I didn’t feel anything. I tell him no, all is good, maybe i’m going numb. He then proceeds to squeeze the bite and oh my god you don’t know the pain. If that wasn’t enough he had to poke it with a needle and slice it in a few places to open the wound so he could release the poison. You don’t understand pain until you feel this. By the way, no anesthesia. Half way through he decided to give me a shot, which, to my dismay, didn’t work! I felt like a squeeling pig, but god did it hurt! It took all my power, biting my arms and keeping my face in a pillow to not scream my lungs out. It was quite possibly the worse pain I have and ever will experience. That went on for a good half an hour, and when he was finished I was light headed, cross eyed , and with a pounding head ache. I headed back to the school (with the drivers) to get dinner(as my host family was out that night for dinner), and then headed back to my host families to tell them what happened. They were kind enough to let me go to bed as they went to the pharmacy for me to get my list of antibiotics. Didn’t go school the next day as I had a fever as a result….yaaaay. In the end, all and all, this is what I found to be the most amazing: the check up, procedure, and all my medicines (4) ended up costing about a total of 60USD. Yeah. What the heck, America? I love you but COME ON. If I were in America this would have been thousands of dollars!